Anybody Can Be President of the US! 1 p.m. to 4 p.m. at Joe's Pizza. all have checked in. I need 100 reservations and have 25 now. Thank you to those who want to make Sterling and Presidential history. Please hit reply and say "I am coming to Eugene Delgaudio's Presidential Canvass" now. top local law enforcement leaders. and various streets in the area of Williamsburg Road. They will be working on Sterling Blvd. this entire month 10 P.M. to 5 AM to avoid disrupting day time traffic. In the Tom Rust 86th District seat, Danny Vargas filed and became the GOP candidate. and down to South Riding in Loudoun county. candidate you or someone you know? Hutchison Dulles South, and in Prince William County: Evergreen and Alvey. Quote "As per RPV rules the Legislative District Committee will choose a nominee - Diane Satterly is the Loudoun representative and chairwoman. We have until June 9th to make the selection - so the convention on May 2nd is taking priority right now. There is a Loudoun County Convetion this Saturday May 2 at Stonebridge HS. to come as a guest or to observe. 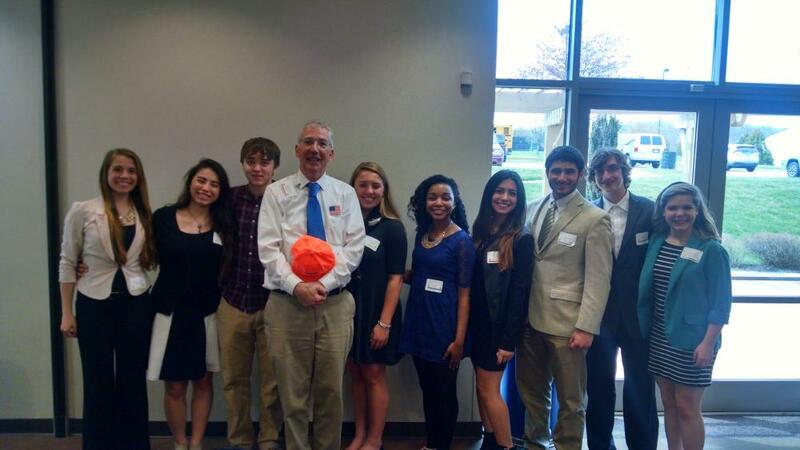 CONGRATS to Youth In Government delegates who were hosted by Loudoun County. Now more Sterling teens have "joined govenment". 19 Sterling students applied to the American Legion for this years Boys and Girls State in response to alerts that I sent you. Good work. "Our Post's Boys and Girls State interviews were held this past week. We had the largest selection of candidates, with 19 in recent memory. Thank you for promoting this program. We selected boys and girls from each school. Dominion HS: 4 Girls and 3 boys. Park View HS: 3 girls and 3 boys"